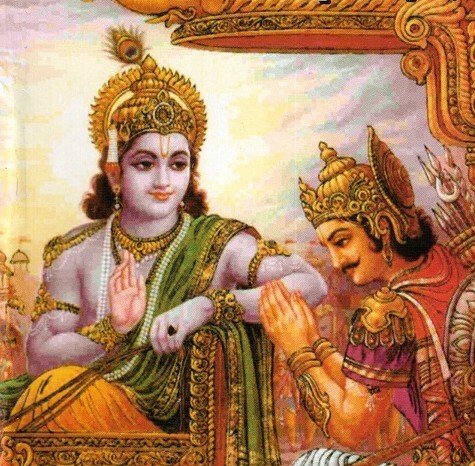 emperumAn asks “When you have fully placed your responsibilities on me, your nature should be as said in SrI rAmAyaNam sundhara kANdam 9.30 “… thath thasya sadhruSam bhavEth“ (SrI rAma himself destroying lankA and rescuing me is that which will fit his nature – so I will wait for his arrival); this being the case, why are you insisting upon me to help you now?”, ALavandhAr replies “I am not asking you to remove my tragedy; when your devotees suffer in this world, it is a blemish for the glory of your highness; so, I request you to remove that”. kim vA dhu:kham bhAvi? – what grief is going to occur from now onwards? thE na anurUpa: – does not fit your stature. Oh my lord! What new grief is going to occur to me which have not occurred previously? I am tolerating all these sorrows; sorrows are born along with me; but for those who are surrendered unto you, an insult in the presence of your highness, does not fit your stature. abhUtha pUrvam mama bhAvi kim vA – For me who have routinely had many sorrows such as naraka vAsa (residing in hell), garbha vAsa (residing in the womb), janana (birth), maraNa (death) etc., is there any new sorrow which I have not experienced before? “kim kshEpE” (“Is there?” implies “negation” here). sarvam sahE – ALavandhAr is not talking about tolerating diseases, insult by others, cold/heat and grief due to separation from emperumAn. He is talking about the amazing aspect – AthmA is eternal; time is beginning-less; AthmA is tolerating and surviving this situation for so long instead of becoming destroyed. mE sahajam hi dhu:kham – Since time immemorial, as I am identified with karma (actions in the cycle of birth/death), isn’t the result of such karma also not part of my identity? kinthu – Even more unbearable aspect is present. thvath agrE – In front of you who is sarvaSEshi (lord of all) and is omnipresent. SaraNAgathAnAm parAbhava: – For those who have fully placed their responsibilities on you, the suffering that was inflicted upon by their attachment towards world pleasures in the form of Sabdha (sound) etc [sparSa (touch), rUpa (form), rasa (taste), gandha (smell)]. ananya prayOjanars (those who are focussed on bhagavAn‘s pleasure only) would consider the presence of these worldly pleasures itself as suffering as said in thiruvAimozhi 6.9.9 “pAviyEnaip pala nI kAttip paduppAyO?” (Are you trying to finish me by showing these worldly pleasures? ), thiruvAimozhi 6.9.8 “kiRi seydhennaip puRaththittinnam keduppAyO” (Are you trying to spoil me further by tactfully engaging me in external pleasures?). ALavandhAr used plural “SaraNAgathAnAm” (those who are surrendered) to indicate that when one devotee is suffering, it affects other devotees. As said in thiruvAimozhi 8.1.3 “… enganam thERuvar umar” (Since you don’t appear in front of me when I desire to see you, how will devotees (like me) would have faith in your protector-ship? ), even those who are full at your disposal, will unnecessarily doubt your protection. nAtha – If I am an independent person, what impact does it have on you? When an “owned entity” is suffering, isn’t that a suffering for the owner? thE na anurUpa: – It does not fit the stature of your highness who said in SrI bhagavath gIthA 18.66 “sarva pApEbhyO mOkshayishyAmi” (I make them relieved of all sins). ALavandhAr is saying “such insult to emperumAn is not bearable by me”. This entry was posted in Other, sthOthra rathnam on January 7, 2017 by Sarathy Thothathri.